Campbelltown Stadium packed to the rafters last Sunday. The headlines may say Benji out, Josh Reynolds in, but the real story is how some Wests Tigers crave revenge against Penrith coach Ivan Cleary this Friday night in round four of the NRL. 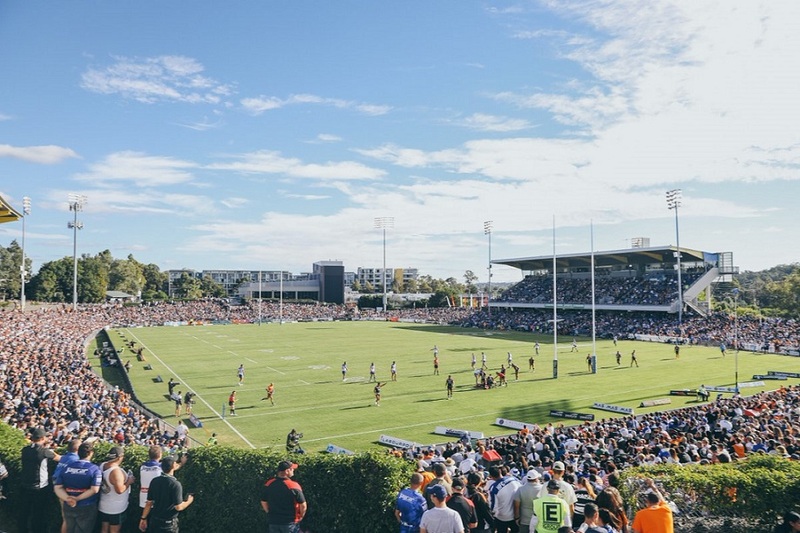 New coach Michael Maguire won’t countenance such an emotional focus from any of his players in a game that has become a lot more important since the Bulldogs ambushed the Wests Tigers 22-8 at Campbelltown Stadium on Sunday before a heaving 15,127 crowd. But even players are human and one or two Wests Tigers players are said to be still hurting from Cleary’s sudden exit from the bus at the end of last year. Maguire will obviously try to ensure his players return to the ladder of progress they were climbing during two very solid performances in rounds one and two against Manly and the Warriors. Against the Dogs the Tigers were flat for the entire 80 minutes and just couldn’t match the enthusiasm and intensity from a team that had been badly beaten in its previous two outings. Be that as it may the caravan moves on and as they say in the classics, in rugby league there’s always next week. There’s no doubt the new Wests Tigers coach is in a building phase and won’t be deterred by last Sunday’s hiccup – or a hamstring injury to Benji Marshall. Maguire has named a strong side for Friday night’s clash against the Penrith Panthers at the foot of the mountains, with Josh Reynolds, pictured, set for his first NRL game of the season. Reynolds had featured for the club’s Canterbury Cup (formerly known as Intrust Super premiership) side over the past fortnight as he completed his long term return from injury, and will now move in to the halves with Marshall unavailable for selection. Reynolds will partner Luke Brooks in the halves for the first time since Round 16 of the 2018 season. Maguire has confirmed an otherwise unchanged side for Friday’s game with Luke Garner named in the back row despite picking up a knock last week. Garner did return to the game in the second half, however, and is expected to play. Russell Packer, Thomas Mikaele, Josh Aloiai and Michael Chee Kam will again feature off the bench with Paul Momirovski, Matt Eisenhuth, Robbie Rochow and Chris McQueen named as reserves. David Nofoaluma (shoulder) has not been named as he continues his rehabilitation with the winger expected to be available for selection next week, while Jacob Liddle (ankle) and Chris Lawrence (jaw/face) also remain unavailable for selection.